May 6, 2016 - Pink dolphins in Hong Kong's harbor? Yes. Chinese white dolphins to be exact—though they're known for their pink color, derived from a network of blood vessels close to the surface of their skin. Conservationists warn that the dolphins are at risk of vanishing from Hong Kong waters, with the local population declining by more than half over the past decade, to around 60 individuals today. The decline of these appealing marine mammals is largely attributed to water pollution and the habitat loss that has come with expanded development in and along the harbor. Read more about these rare pink dolphins and their prognosis for survival in Hong Kong. Visit the Hong Kong Dolphin Conservation Society. The Chinese white dolphin is a long-term resident of the Hong Kong waters so it's part of our natural heritage. 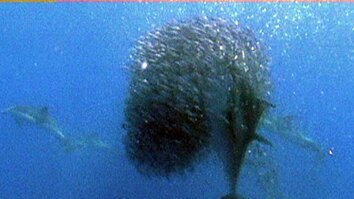 And they are quite symbolic in the marine environment. Because they are very charismatic, and a lot of people love their appearance, because of their pinkness. Ten years ago, we had about 158 dolphins regularly using Hong Kong waters. Now, we're down to about 61 dolphins left. So that's a 60 percent decline just within a decade. Many people imagine that Hong Kong has such a busy and polluted harbor that you will not see any marine life here. But these dolphins have been in our back yard for all these years, and they're still hanging on. 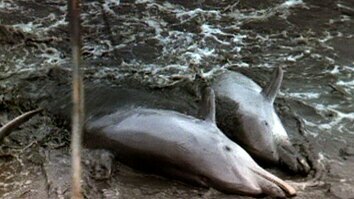 Back in the 90s, in the last century there’s the original airport construction we saw a huge amount of habitat loss for the dolphins so the dolphins have been affected since then. Recently in the last couple of years there’s the construction of the Hong Kong – Zhuhai - Macao bridge that caused a lot of habitat loss and also a lot of acoustic disturbance during the bridge building process. Looking ahead there are even more reclamation proposals. One of our major concerns for the dolphins is the low reproductive success partly because of the pollution issue. When the dolphin give birth to their young they need to nurse the milk and usually they will pass on the toxic substances to their babies, too. 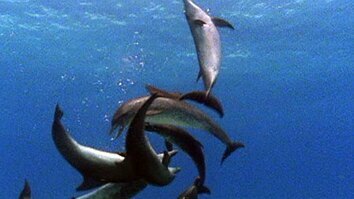 I consider dolphins as my family members. I've been studying them for 20 years. We recognize a lot of individuals. You know they are an important part of the Hong Kong community and you want them to continue to utilize Hong Kong as part of their range. So, you know, as a friend, you want to help them. It's so important to keep our natural environment as pristine as possible not only for our enjoyment but also for our future generations.